Quirky Christchurch vocal group on Ukulele and Cigar-box guitar. 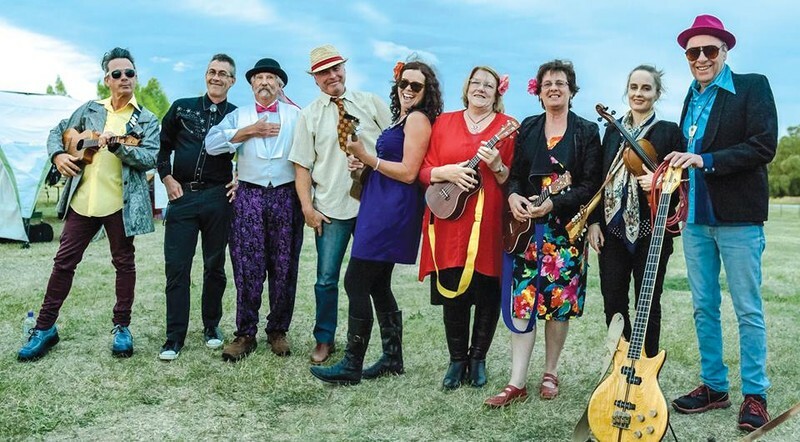 The Secret Lives of Ukulele are: Annie, Carl, Emily, Maree, Paul (ukuleles), Lance (cigar-box guitars), Peter (bass guitar) and Lynden (drums). Performance starts at 7:30pm, you will get a seat if you arrive close to 7pm. Tea, coffee, biscuits and cake available during the break, also bar facilities for cold refreshments throughout the night, Eftpos available for purchases only, no cash-out facility. Please remember to bring your current Folk Club membership card as this is required for new club licensing.